Wether your having your stag party weekend in Hastings, Rye, Eastbourne or even Brighton. Everybody has done paint balling go karting etc. Why not try something new, High speed RIB trips. This trip is our most popular for Stag parties. 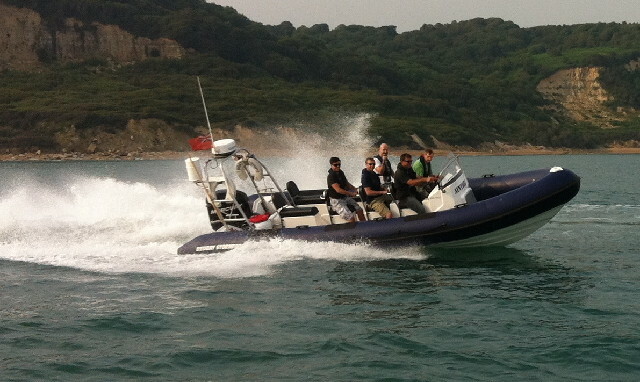 The rib can take up to 9 people at a time and is £125 for the whole boat. If your group is bigger (up to 18) we can offer the boat for 1 hour and do 2 trips for £195. Price includes fuel and skipper.